Walk up to someone and ask them what “Ragnarok” means, and chances are, they won’t have an answer. 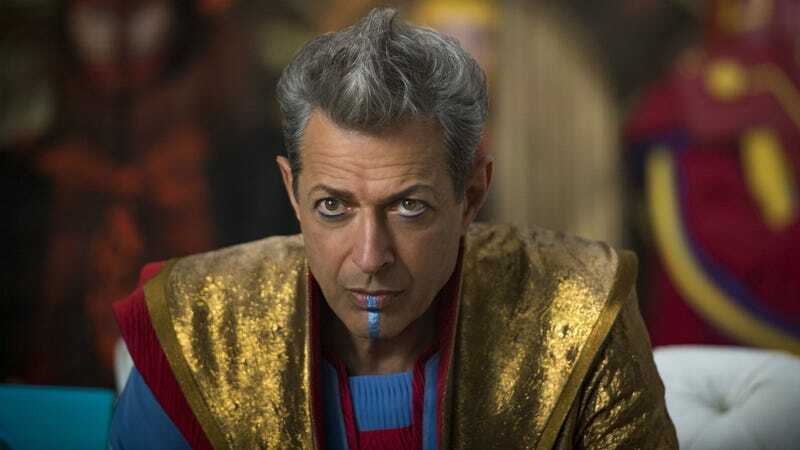 Even if they were randomly into Norse mythology, though, none of them would have answers as delightfully kooky as Thor: Ragnarok star Jeff Goldblum. Goldblum plays the Grandmaster in Thor: Ragnarok, the third Thor movie, which opens November 3. In the movie, “Ragnarok” refers to an event which will mark the end of times—which is also, basically, the preferred definition in mythology. But Goldblum took to Twitter today with the hashtag “What’s Ragnarok?” and read some of his favorite answers, none of which are what you expect. Why am I still trying to explain this when there are so many videos that do it better than I ever could? Observe. Other actors from the film are also getting in on the hashtag on the @MarvelStudios account but, come on, no one is going to top Goldblum. Thor: Ragnarok opens November 3.